Unspoiled, secluded and natural, Rangeley beckons to be discovered in all four seasons by the family craving both adventure and relaxation on their vacation. As the spring season begins around Memorial Day, this fisherman’s paradise for landlocked salmon and brook trout calls your name. Greenery emerges in the fields and forests, the loons return and lucky visitors may see a newborn deer or moose. In summer, the region’s six major pristine lakes come alive with swimmers and boaters. Play golf or tennis, take a bike ride or lake cruise. Discover endless hiking trails through the dense forest and picture-perfect vistas, and cool off in the crystal clear mountain swimming holes. 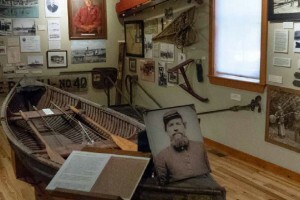 Canoeing and kayaking are also popular with many well-worn canoe trails and portages. Eye-popping color marks the fall season, with the mountainsides transformed. In winter, enjoy snowmobiling the region’s 150 miles of groomed trails, and uncrowded skiing at 4,120 foot Saddleback Mountain. 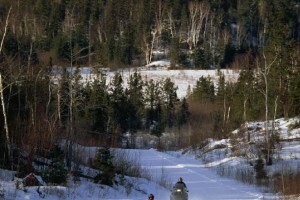 There are also a variety of Nordic skiing and snowshoeing trails at the Rangeley Lakes Trails Center. Rangeley is a journey back in time to the way things used to be, and we invite you to experience it! The nearly 2,200 mile-long Appalachian trail stretches through 14 states. Hikers and vacationers alike find respite at these eclectic, vivacious towns along the trail. 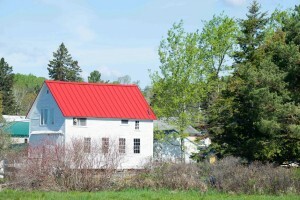 It’s a small town, but that’s where a lot of the charm lies in Rangeley. The main drag stretches a few blocks, with fishing outfitters, art galleries, ice cream shops, eateries and a park on the lakefront with tennis and basketball courts. If you’re out canoeing, you can portage over Main Street from Haley Pond to Rangeley Lake and beyond. Lobsters, lighthouses and a rocky, rugged shore. The city of Portland is the largest city in Maine and about 2.5 hours south of Rangeley. It makes for a great day trip or exploratory visit after you land at Portland International Jetport. This modern city has recovered from four large fires and is known for its great craft beer scene, LGBT-friendly vibe and the Northeast fishing influence all around – the waterfront has working wharves and converted warehouses containing unique shops and restaurants, perfect for a relaxing vacation day spent exploring. Maine has 44,000 acres of wild blueberries that grow in fields that stretch from the Down East coast to the southwest corner. They are adapted to Maine’s naturally acidic, low fertility soil and cold winters. 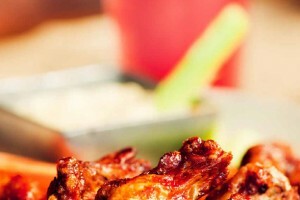 These honey blueberry barbecued wings are some of the best sticky barbecued wings out there, and we hope you enjoy this little taste of Maine. The legacy of Wilhelm Reich has mixed opinions in Rangeley. Was he a mad scientist, eccentric genius, or just way ahead of his time? 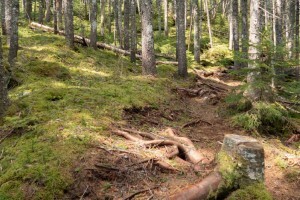 Lose yourself in the 66 trails and glades of Saddleback Mountain. 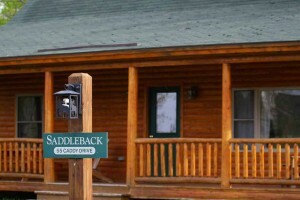 Located minutes from Rangeley Lake Resort, Saddleback has five lifts and 2,000 feet of vertical with a peak of 4,120 feet. For those interested in Nordic skiing and snowshoeing, the Rangeley Lakes Trails Center has 35 miles of set tracks and skating lanes with terrain for everyone. Unspoiled, secluded and natural, Rangeley beckons to be discovered in all four seasons by the family craving both adventure and relaxation on their vacation. 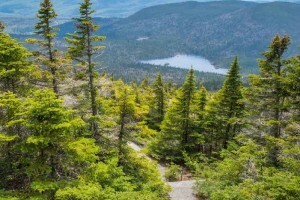 The Rangeley area offers plenty of untamed wilderness to dirty your hiking boots, but what about a more mellow approach? Follow the road to these scenic spots that are right along the pavement. It’s relaxation, simplified. The trail revealed itself with the noise of falling water tumbling over rocks, a short footbridge going over the maelstrom. To either side was a noisy creek rife with boulders, the crystal-clear water rapidly meandering through the valley. This part of the Appalachian Trail started off with beauty, and it didn’t end there. I was on my way to Saddleback Mountain, and it was a 12-mile round trip trek. 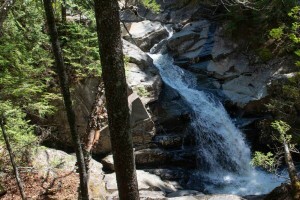 Cascade Stream Gorge was listed in the Maine State Planning Office’s Register of Critical Areas in 1978 because of its unique natural, scenic and geological features. The stunning gorge, reached by a short hike through the forest, drops 90 feet into the stream below. This rugged area is about 4 miles south of Rangeley. 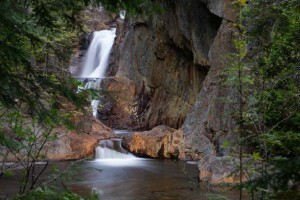 The hike provides opportunities for photographing wildlife, the rushing, tumbling falls and a host of native plants. Be sure and keep children and pets away from the edge of the rock cliffs.